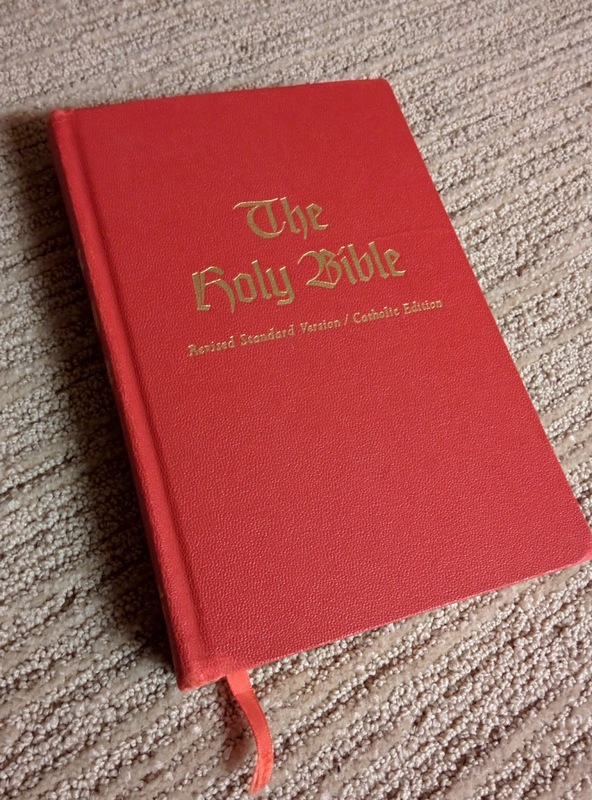 Catholic Bibles: Which Translation of the Bible is the Best? Reader Emilia passed this 2016 article from Catholic Answers by apologist Trent Horn. Although the article is fairly short, I'd be interested in hearing from you what you think about it. Consider it your homework assignment! We have discussed issues like this on this site for almost ten years. I would like to think that we have dispelled any pseudo-knowledge regarding translations over these years. We have given most translations a good look over and have had very good discussion/debate about each of the major Catholic translations. So, what is your say? Originally every translation was formal equivalent, then sometime in the 1960's, someone got the bright idea of doing a dynamic equivalent translation, and that became the fad for a while, but today, translators try to find a balance between the two approaches. That's a simple history that has the benefit of exactly fitting with the principles of the Hegelian dialectic, thesis (formal equivalence), followed by antithesis (dynamic equivalent) followed by synthesis (the current approach, sometimes called optimal equivalence.) The only problem with this history is that it is completely false. The fact of the matter is that dynamic equivalence has been around forever, it isn't a modern philosophy. It is clear, even when comparing the text of the Septuagint to the Hebrew Old Testament, even accounting for the fact that there is a very real possibility that the Septuagint reflects an older version of the Hebrew text than the Masoretic text that is the basis of most modern translations, that in many places the Septuagint was a dynamic equivalent translation. At best, the Septuagint represent a kind of loose, sometimes very loose, paraphrase of the Hebrew. It is also clear that the Vulgate is a dynamic equivalent translation as well, and some of the most famous translations in the Vulgate, the very ones that 'Douay-Rheims Only' types seize upon to criticize more modern translations, are a loose paraphrase of the original, sometimes a very inaccurate paraphrase as well. One big example of this is the Vulgate translation of the Our Father, where it says 'give us this day our supersubstantial bread', apparently, whoever made this translation, whether it was Jerome or someone else, thought that it was 'obvious' that the passage referred to the Eucharist, and so he just made it even more obvious by flat out saying 'Eucharist' (which is what 'supersubstantial' means). I think the assumption that 'daily bread' in the Our Father refers to the Eucharist is correct, but to actually translate it in such a way that it refers explicitly to the Eucharist is wrong. Other examples of dynamic equivalence would be Luther's Bible, and let us remember that at the time, even William Tyndale's translation was considered 'too loose' by its opponents. Dynamic equivalence is actually the older philosophy, formal equivalent translations like the Douay-Rheims and the KJV were done as a reaction against the excessively dynamic translations that were then in circulation. One more comment and I needed to make a second comment because I was coming close to the character limit on the last post, is that the author of that article makes a very common mistake: he refers to the NAB as a 'dynamic equivalent' translation. This is simply false. Although the NAB is not as literal as the RSV, NRSV or NASB, it is still much closer to the literal side of the scale than to the dynamic side. I honestly don't have any idea where people get the idea that the NAB is a dynamic equivalent translation, it isn't. It is much closer to the RSV or NASB than it is to the Jerusalem Bible or the Good News Translation. Isn't it clear that all the passages in the NAB that people complain about as being tortured or awkward renderings are bad precisely because of their excessive literalism? The NAB occasionally even uses the archaic 'lie with' to refer to sexual relations, this is a very literal rendering! If we put translations on a scale from 1 to 10, with the NASB at 10 as the most literal translation, and The Message at 1 as the most dynamic, then the NAB would rank at about a 7 or 8, not as literal as the NASB, but still pretty darn literal. I recall reading this article when it first came out and my bottom-line answer remains the same now as then...as Keating's closing quote says, "the one you will read." I don't put paraphrases into the mix because as the article states they are simply one person's idea of what would or could have been said or meant and the faith is to precious to relegate it to such extreme subjectivity. Well, technically the article said the NAB was a MORE dynamic translation. It wasn't classified with the Message directly, but rather implies it's more in that direction than the RSV. Also, since the NAB has multiple versions floating around, it's also loose as to which NAB he's talking about. Was the original 1970 version more dynamic? The 1986 Revised NT? 1991 revised NT and Psalms? The NABRE? I think if it's qualified as an earlier NAB it's probably more dynamic than the NABRE, which is still a bit more dynamic than the RSV. Not well phrased, but I believe technically correct. Otherwise BC, I think you hit the nail on the head. Currently, the overall "best" translation for Catholics is the RSV-2CE. This is of course, just my opinion. The RSV-2CE language and style is very well known and accepted by Catholics, Orthodox, and Protestants. This is due to the continuing popularity of the RSV and its spin-off variations, as well as being very similar to translations based off the KJV and ASV. The 2CE is the most acceptable English language translation "as is" for Catholic liturgy, as the modifications from the original CE were directed by the CDW itself. Also, the best overall hard copy is an edition of the RSV-2CE: the Didache Bible. Considering the Didache RSV portable size, high quality, and excellent content, I don't think there is a Catholic Bible I can recommend more at this time. The close runner up is the NABRE, and I must say the CBPC editions of it are much underrated. There are nice quality with opaque paper and available in a wide variety of sizes, colors, and cover materials. The problem is that if the author isn't even aware or chose to ignore the revised NAB, than this article isn't accurate. "Well, technically the article said the NAB was a MORE dynamic translation. It wasn't classified with the Message directly, but rather implies it's more in that direction than the RSV. " You may be right, ultimately, a one page essay on such a complex topic is likely to leave a lot of ambiguity as to what the author intended. But he does say of the NAB that it "refrains from using complex or outdated words that could obscure the author’s intention". I don't what he means by that exactly, but if he means what I think he means, he's wrong. The NAB has a very advanced vocabulary, not so advanced that the average adult with a high school education has to constantly pull out a dictionary to understand the words used, but the NAB does not refrain from using 'theological' words that dynamic equivalent translations tend to avoid, words like 'justification', 'expiation', 'sanctification' etc. The problem with each of those paraphrases is that Psalm 1 is traditionally understood to be a messianic Psalm, it is both a generic reference to 'righteous people' in general, and a reference to Christ, specifically. Making the passage plural ('Blessed are they' or 'Blessed are those') eliminates the possibility of a messianic interpretation, even removing the masculine pronoun 'Blessed is the one....' causes problems. Theologically, the only correct translation is 'Blessed is the man', and anything else is wrong. This is an example of how excessively dynamic translations tend to obscure theological issues. I'm amused by an example that popped up in my morning prayer today, where I was reading Heb 11:1-19. As a former Methodist, to keep learning about the alignment and differences between my original tradition and Catholic teaching, I read both the Ignatius Catholic Study Bible NT and Wesley's Explanatory Notes Upon the New Testament. Both are essentially Catholic or Methodist line-by-line commentaries on the NT. The Ignatius, of course, uses the RSV-2CE (where we've essentially marked up the RSV-CE to be more to the Church's liking), and Wesley uses a modified version of the KJV (which he's adjusted in a few places to be more to Methodist liking). RSV-2CE renders it: Now faith is the ASSURANCE of things hoped for, the CONVICTION of things not seen. Compare that to NABRE: Faith is the REALIZATION of what is hoped for and EVIDENCE of things not seen. But Wesley, too, made a similar divergence from the Authorized Version. Wesley rendered it to say: Now faith is the SUBSISTENCE of things hoped for, the EVIDENCE of things not seen. And he uses SUBSISTENCE to make a point about justifying grace imparted by the unseen reality of the Christ. Since the Greek word at the root of all this is hypostasis, "Substance" is arguably a better formal rendering, in the spirit of its theological use elsewhere (i.e. "hypostatic union"). So I found it funny that both the Catholic RSV and the Wesleyan tweak to the KJV BOTH essentially depart from the path in theior commentary, compared to the NABRE. Neither made points incompatible with the Gospel. But they did sort of reach their valid conclusions in a way that had little to dod with the literal text. It is not just arguably so, but strictly "de fide ecclesiastica" (a necessary faith mandated by the Catholic Church) that the Vulgate is God's word free of spiritual (not "translation"!) error. And by the same argument used by the Council of Trent there we can also count the Septuagint as spiritually beyond doubt. It is the many centuries of essentially exclusive usage by the catholic and orthodox Church that guarantee these texts, somewhat similar to how the ordinary Magisterium works. This is for me way more important than the historical-scientific quest for the "original text". I read the bible to become a saint, not a scholar of ancient literature. Hence, I cannot name a "best" Catholic translation. We do not have modern translations that have the correct attitude to the biblical texts. We have old and too old-fashioned translations, which are being reprinted but not developed, and we have new and shiny translations that copy the mistaken Protestant emphasis on what's "most original" (this sadly includes the "New Vulgate"). I personally iterate between these two sides (i.e., KJV and DR vs. (N)RSV and NASB, with some Knox and REB for variety). If they ever finish "The Bible in Its Traditions", then the result may well be what I would consider as good as it can get. I'm with BC on this one. Unfortunately, Trent Horn did what so many authors of similar articles and blog posts do. He took "common knowledge" circulating on the Internet and added his own authority to it. This happens all the time, with people saying the NAB is a dynamic equivalence translation or that the NRSV incorporates vertical inclusive language. I don't expect very many people to be well-versed on all the ins-and-outs of English translations of the Bible, but I do expect someone to do their own homework if they are going to publish something on the subject. I don't mean any of this to be a broader criticism of Trent or of CA. He and they do wonderful work overall. One final thought: why is it that Knox is never used as an example of a dynamic equivalence translation by folks at CA? Karl Keating has written that it's his favorite translation for devotional reading, but it is clearly dynamic. It's like they have set up this argument, as BC describes quite well, where dynamic=bad but Knox is good, so they just ignore that altogether. I love the old 17th century language of our early translations, but I welcome modern approaches. I read a lot of old literature and even if I can get the point without knowing exactly what a certain word means, I do keep a dictionary at my side to take the time to understand obsolete words (and by obsolete I mean words for things we no longer use). I've be reading Genesis and I often pass certain words by without noticing that the don't mean anything any long. What does 'firmament' mean? I only paid attention when I read Knox's translation. Knox does not use firmament. His standard is to find how an Englishman would have said it. Nobody uses firmament in daily speech, whether that is the speech of the cabby or the speech of a judge. When I first read Knox I found his different choices disturbing but now I see them as markers that allow me to pay attention to texts that I have read much to carelessly. I do prefer more literal translations, but that literalness needs to be informed by a real knowledge of what our English usage is today. "Est autem fides sperandarum substantia rerum, argumentum non apparentium." "Now faith is the substance of things to be hoped for, the evidence of things that appear not." "The means by which an assertion or assumption may be made clear, proved, an argument, evidence, proof (and in particular, that which rests upon facts, while ratio is that which depends upon reasoning)." "What is faith? It is that which gives substance to our hopes, which convinces us of things we cannot see." To me this is already explaining a bit too much. For example, there is a difference between saying that something is the substance of something else, and saying that something gives substance to something else. The former identifies a core, the latter installs one where it was apparently absent previously. Please put a name, even if it is fake, at the end of your posts so we can keep the conversation clear. A very good translation, if not one of the best, is the NABRE. It's the only Bible most American Catholics, however few, will read.
" This happens all the time, with people saying the NAB is a dynamic equivalence translation or that the NRSV incorporates vertical inclusive language." While it is indeed true that the official guidelines for the translation were that there be no 'vertical' inclusive language, according to some of the translators and editors, the 'style committee' that produced the final draft of the NRSV went far beyond its mandate and did indeed sneak in a few snippets of 'vertical' inclusive language into the text. It's true that there were no extensive efforts to do this consistently across the entire text, but according to some who worked on the NRSV, it did indeed happen in a few instances. I will add a fake handle if you prefer. I posted the above two "anon" pieces, and several other comments on recent blog posts. Since there is no login to this fake handle, others could use it. I hope for a lack of trolls. Your comments are most welcome. I just want to make sure we can address them properly. Thanks! I cannot properly judge any translation from Hebrew or Koine Greek. That's because I do not understand either. I can somewhat judge a translation from Latin, because I did learn Latin (and also Latin has influenced the languages I speak). Since I'm not a native English speaker (I'm German), I'm acutely aware of how limited this necessarily makes my perspective. I have seen translations from German to English, or vice versa. And often they are, well, horrible to my ears (eyes), even if coherent in themselves. If I didn't know both languages very well, I simply would not be able to spot the problems. The translation read by itself would seem fine. So when I see people say that this or that translation is good (or even best), I always wonder if they are well-read in the biblical languages. Otherwise that judgement is bound to be more about judging the translated text on its own spiritual, poetical and literary merits, than actually judging how well it works as a translation. Comparing various translations in the same non-original language is also no panacea. At best, it gives a kind of "crowd intelligence" picture by exploring possibilities and showing where agreement is strong. At worst, it leaves little more than confusion and false trust in common biases or shared translation histories. There is some mileage in word studies, pouring over the text word-by-word with the help of dictionaries and study aids. However, this can lead to a myopic vision of the text, and idiosyncratic opinions constructed by choosing potential meanings as one sees fit. And of course, dictionaries are also not necessarily "unbiased" in their selection of possible meanings. I can say why I prefer the Douay-Rheims(-Challoner) over the Knox as translation of the Vulgate. That's because I understand enough of both the source and target languages. If you ask me whether NABRE is better than (N)RSV, REB, (N)JB, NASB, ... well, what are you really asking? And what can I really answer? Ok, Timothy: you asked. I think that many have strong opinions on various translations (and translation philosophies), but many don't have (myself included) the credentials to go around spouting our opinions as if they're scholarly dogma. I see this even with some respected Catholic scholars, who may have backgrounds in theology, but lack extensive formation in biblical scholarship. This is why I appreciate Timothy's balanced approach, which tends to be open enough to appreciate the good qualities of various translations, even if he has his own preferences. For instance, I, too, enjoy reading the NRSV, and those of us who do are not automatically unorthodox Catholics because we don't prefer the RSV-CE 2nd edition (which is good to the ear, too, but for me, less so than the NRSV, which to me flows more easily). I'm very aware of the inclusive language used in the NRSV, and while I find it annoying in many cases (some don't bother me at all), I try to give the translators the benefit of the doubt, believing they had good intentions, and I am able to compensate for awkward renderings with a comparison to the RSV (for example, I know that Psalm 1 begins in the singular, not the plural, and can be seen as pointing to Christ, the perfect blessed Man). Honestly, I see a lot of Bible snobbery out there in the blogosphere and in the parishes. We Catholics can get very snarky about translations we find substandard. I figure if a translation is not my cup of tea (like for me, The Message), I don't have to use it. I alternate between the NJB, REB, NRSV, NABRE, RSV... and the Knox when I have a little more time on my hands. My favorite is the NRSV, but they all have good qualities. But ultimately, hopefully, I'm more devoted to the Word behind the words than I am the actual words, be they coming from a formal or a functional (dynamic) method of translation. So, I certainly agree with Trent Horn's conclusion in which he quotes Keating. As long as its not a spurious (like the Watchtower) translation, or anti-Catholic in its wording, why not read the translation works best for you? Personally, my favourite translations are the RSV-2CE (Didache) and the Douay Rheims Challoner. The Knox translation of the Vulgate would certainly have featured here, were it not for its format: the lack of chapter titles makes it non-viable for me as I am not sufficiently learned in scripture to be able to manage without them, especially when looking up specific passages; it simply takes me too long. Knox's notes, though useful, are also very sparse. This is a terrible shame though, because the prose is formal and reverent, yet also entirely accessible, not to mention quintessentially English. I do not intend to discuss the respective merits and problems of the Knox translation's literary approach. PS. I am not a biblical expert and this blog has been very informative over the years. I am especially appreciative of the non-partisan nature of the blog. The Douay Rheims is discussed on one post; the NRSV on the next. There is, in essence, something for everyone and no one is imposing their preferences on others. Not all bible blogs achieve this, so well done! Frankly, there is no perfect translation. Working on Patristics, we find there was more than one version of the Septuagint. Here, readers would want to look at the late, great Robert C, Hill's book "Of Prophets and Poets: Antioch Fathers on the Bible." As for the Vulgate, I would suggest that readers look at a book that came out last year, "The Latin New Testament: A guide to its early History Texts and Manuscripts." Reading Origen and his greatest disciple, Jerome, is useful, because they often address comparative texts or apocyrphons in their commentaries. Consequently, while liturgically I use the old NAB (most Byzantine Catholic Church's have lectionaries that have the old NAB new testament, which is great as that is what I grew up with), I will look comparatively at several bibles (RSV- Catholic 2d, NRSV, Orthodox Study Bible, Eastern Orthodox New Testament, Knox, Douai-Rheims) as well as liturgical translations. if I need the text. Presently, I am helping to annotate Chromatius of Aquileia's Homilies and Tractates on Matthew. When you work with such material, it is hard to enjoy any modern scriptural studies - since pre-Lent I have read Ephrem of Syria's Commentaries on Genesis and Exodus, Origen's Homilies on Genesis, Exodus, and Jeremiah, and Jerome's Commentary on Matthew. When I am done with Chromatius, I plan to finish Origen's Commentary on John. I know you guys get excited on the latest Ignatius Study Bible on Joshua, but I prefer Origen's Homilies on Joshua. The exciting news for guys like me is that we should be having a translation into English of the newly found Psalm Homilies of Origen as well as what is left of Origen's Commentary on Matthew put into English! "It is not just arguably so, but strictly "de fide ecclesiastica" (a necessary faith mandated by the Catholic Church) that the Vulgate is God's word free of spiritual (not "translation"!) error. And by the same argument used by the Council of Trent there we can also count the Septuagint as spiritually beyond doubt." I know this is supposed to be in response to my comments on how the Septuagint and the Vulgate represent 'dynamic' translations, but truthfully, it really isn't relevant to the point I was making. The Septuagint and the Vulgate are both historically important translations because they reveal how the scriptures were understood in the time when they were produced, and, in the Old Testament, they serve as much needed correctives for when the Hebrew has broken down and clearly suffered in transmission. Even the New Jewish Publication Society translation of the Tanakh (1985) makes reference to the Septuagint and the Vulgate on occasions where the Hebrew text is too obscure to be of use, and they did this despite the fact that their editorial mandate, as a Jewish organization, was to rely solely on the Hebrew text and not rely on what they see as the 'Christianizing' tendencies in the Vulgate and Septuagint. But certainly, even granting that the Septuagint and Vulgate are free of theological or moral error, does not mean that we are not free to think that in some instances they represent a far too loose translation of the Hebrew. Even granting that the Septuagint and Vulgate may represent an older version of the Hebrew text than the Masoretic text, there are some passages where the translation of the Hebrew text seems excessively free. I feel that a question related to one in the post is this: Do we need anymore translations? The reason I bring this other question up is because of the fact that the best translation for YOU is the one that will meet your needs since it will be the one you will be reading. Therefore, in order to meet different people's different needs, we need to have enough translations. So, concerning Catholic English translations, do we need more of these in order for each of us to find the perfect translation (as Catholics, that is)? Well, that may be, but to me, using vertical inclusive language in any real sense would mean avoiding masculine pronoun for God. Certainly there might be a verse here or there where one is used in other translations and not in the NRSV, but masculine pronouns are used quite extensively throughout the NRSV to refer to God. "I do prefer more literal translations, but that literalness needs to be informed by a real knowledge of what our English usage is today." While I do agree with this general sentiment, I do think there is a problem if we fail to recognize that most people have a larger functional vocabulary than they do a verbal vocabulary. What I mean is that just because people may never use a particular word in casual conversation it doesn't actually mean that they don't recognize it or know what it means. You use as an example the word 'firmament', I agree that this is not a word that people use in casual conversation, but that doesn't mean that they don't know what it means. If you ask most people what 'firmament' means, they would likely say something like 'it is a fancy word for the sky'. There are a lot of English words that are not very common in casual or conversational English but which are more common in formal or poetic English. Firmament is one of those words which I think is familiar to most people, but which is viewed as much too formal or poetic to use in casual conversation. I do think that we want to try to preserve a certain degree of formality, dignity and elegance in scriptural translations, in particular ones that are intended to be read out loud in church. This is particularly true in the Psalms, which are after all, supposed to be poetry. One thing that I like about literal translations is that they tend to be more formal and dignified than dynamic translations, and for that reason, literal translations tend to be more memorable. I agree that translators should try to use English in the way it is commonly used, but they shouldn't be afraid to prefer the occasional fifty cent word over the twenty five cent word if the fifty cent word seems to work better in the passage. That last comment, assuming it goes through correctly, was in response to BC. Biblical Catholic: If you ask most people what 'firmament' means, they would likely say something like 'it is a fancy word for the sky'. That is exactly why words need to be chosen that have a more clear meaning today. It's ok when reading Dickens to know that surtout is a coat and demijohn a container. Shouldn't the bible be translated with words that have a more precise meaning to a modern audience? "That is exactly why words need to be chosen that have a more clear meaning today. It's ok when reading Dickens to know that surtout is a coat and demijohn a container. Shouldn't the bible be translated with words that have a more precise meaning to a modern audience?" The problem I have with this is that it leads translators to start talking down to readers because they assume that readers don't understand anything. There is no harm is expecting a little more from readers, but there is great harm in doing the opposite. Don't refrain from using a big word because you think people won't understand it, if a word is the right word for the context, then don't be afraid to use it just because it is an unusual word. So often when people think they are employing 'simple' language what they are actually doing is being condescending. It's not really a huge problem if someone encounters a word which leads them to the dictionary. Bishop Trautman is an excellent example of this, he often raises issues about translated texts based on what he thinks other people understand, but the translations he tends to prefer often seem to me to be really dumbed down. BC is right on the high vocabulary that the NABRE uses. Sometimes it uses words that are not commonly heard like "meanness" (see Ben Sira ch. 29). At first, I thought this was some kind of (ugly) dynamic moment for the NABRE, but then Mary Sperry came in and explained that it is actually a technical term for a particular form of greed. I had never heard of this word before and I'm at the college level! I am constantly learning specific military terms as I read through the Old Testament lololol. The NABRE is a good place to expand one's vocab IMHO. I've enjoyed reading this thread--thank you to everyone for carrying on an opinionated but charitable discussion! In a milieu which is trusts experience over knowledge and perhaps emotion over revelation, I find that the deep dives into the bible serve me better. Not that I'm throwing bible verses at anyone, but rather in my own formation. Lately I spend a lot of time with the New English Bible, which had no direct Catholic involvement, but was loved by Bishop Sheen at the end of his life, for what it's worth. I just love reading it. I also love reading you guys like Biblical Catholic who are much more steeped in the scholarship than I am. Glad you're on our side. Your initial post should be a permanent warning before reading that Catholic Answers article. I think it depends on what I am doing with the Bible. If I'm listening to an Audio bible, then The Message. If I'm reading a biblical book through, then NRSV. If I'm going to slow myself down and meditate, NAB(RE). A dynamic translation provides an immediacy that works well with a here-and-now proclamation, and that is what I expect from listening to audio Bibles. (The Jerusalem bible is suited for a ritual environment, and its poetics/rhetorics works better in that space). NRSV's fluency helps me get through a book without trying to figure out what it is saying. NAB(RE)'s literalism hampers reading, which is a good thing to slow reading down. And its footnotes are great (well, because it is also reflective of the most current scholarship). I switch between NAB(RE) and King's (with the Septuagint). Biblical Catholic. I am not asking to dumb down the Bible, just to understand that some old word choices no longer have a specific meaning. If firmament is understood as 'sky', then let's use sky. Biblical Catholic, you did not really get my point about the Vulgate (and by extension the Septuagint). My point was that it is strictly irrelevant how literal or dynamic a translation of the "original texts" the Vulgate (or Septuagint) may be. Strictly irrelevant, that is, from a religious point of view. These texts are confirmed by necessary faith as the word of God. Period. Thus they stand on exactly the same religious footing as any text in Hebrew or Koine Greek that one may put forward. Obviously, this is not the case for an "academic" point of view. And I am not at all trashing the academe here, I'm an academic myself (natural scientist). I'm just saying that religion is a domain with its own concerns and rights, and within that domain a binding determination has been made for the faithful. Furthermore, the actual historical situation (now speaking in an "academic" sense) is that there is no such thing as the "original text". Beyond reasonable doubt it is clear that both for the OT and the NT, there are "original texts". Plural. And significantly plural, i.e., we know for sure that there never was any such thing as a single normative text, and also that there is no way of constructing one of out the texts that are known to exist. To put it differently: variations in the original texts are known to be significant enough so that any single choice of words cannot represent all texts equally. That's exactly why we do talk about making specific choices of base texts for the OT, and why the NT is translated from some kind of amalgam of existing manuscripts. Consequently, from a religious point of view again any translation of the "original text" may correspond to the word of God, but one cannot be absolutely sure that it does. There will always remain at least some doubt about any translation, and not because translation inherently falsifies. But because we are not even able to say with precision what text we should be translating. Given this situation, it is in fact the Vulgate (and by argumentative extension the Septuagint and at a stretch something "Textus Receptus"-like for the NT) that is the surest word of God in a religious (not academic) sense. And speaking from a historical perspective, the ado about the "original text" has a strong Protestant flavour, and it is a pity that Catholics (but not the Orthodox) have bought into this so much. The only remnant of a proper Catholic attitude there is the insistence on including the deuterocanonical books in their proper order. And just to make my attitude perfectly clear. If for some reason the vast majority of Catholics now started to read The Message near exclusively, and this ended up producing many saints over a thousand years or more, and then some Ecumenical Council in AD 3500 declared that the venerable text of The Message in its ancient English (a long dead language then, with everybody speaking Mandarin) is free of spiritual error and an accurate representation of the word of God ... well, in that case I would value The Message as on par - or due to historical indeterminacy even slightly superior - to whatever has been found in Hebrew or Koine Greek. And discussions about Peterson's translation method and accuracy would be essentially besides the point. "Firmament" is not to be understood just as "sky". From a translation perspective, it is excellent that the word "firmament" exists, precisely because it is a bit strange to the ear while being roughly "sky"-like. The "sky" to the ancient Jews was conceptually not really like the "sky" you fly through with a plane today. This is in fact explicit in the text of Genesis, where the firmament is used as a construction element by God the builder. Knox tries to capture this by talking about a "(solid) vault" instead. Personally, I find this to be clunky English, and "firmament" much more pleasing in a poetical sense. But be that as it may be, Knox does not say "sky" either because it would be a bad translation (and frankly, what would one do with Gen 1:8 then? This sky God called sky?). I believe I read someone above state that since they cannot read the original texts, they cannot in the end rightfully judge one translation as more accurate over another. This is true. Unless you speak Spanish, you cannot say whether or not someone's rendering of Spanish into English is correct or accurate. You might be able to recognize a few words, look them up in a Spanish-English dictionary, research what some translators and speakers of Spanish say should or should not be a correct rendering...but in the end your view will only be second-hand at best. You have to know Spanish in order to judge a translation of Spanish into English. There's no other way. This prayer is known by its first Hebrew word: Hashkiveinu. If you do a search for it on the Internet to find an English translation of it, you will find a plethora of different ones. Which one of these English translations is more accurate? If you cannot answer that, then you also cannot offer a trustworthy conclusion about which Bible is a more precise and accurate version. The Hashkiveinu contains words you will find throughout Scripture. Jewish children are taught to sing it, especially at Jewish summer camps at night before retiring for bed. It's very simple to both understand as well as pronounce, really. Very basic. If you cannot immediately understand or even pronounce something as simple and Bible-based as the Hashkiveinu at sight, without aid of looking up words, you cannot be expected to comment on the accuracy of Scripture. You have to know a language before you can say someone else is or isn't rendering it correctly. This doesn't mean there isn't some instances of insight in some of the comments here. There is. But they are just blurbs. For testing the accuracy of a version you need to know the entire original language and it's culture, and then have another original-language speaker test your understanding of the language and double-check your conclusions to validate your work. It's a good debate, but it won't get you anywhere. If you could decipher Hebrew, Aramaic, and Greek well enough to determine if any given Bible translation were accurate, why would you need a translation in the first place? You wouldn't. Of course, a big problem with ancient and effectively dead languages is that one cannot really ask anybody whether a translation is appropriate. The most competent translator is still just someone who has studied the language's remains intensely, and they acquired the ability to "speak" that language through academic discipline rather than lived experience in a community of active speakers. All biblical languages are effectively dead. Even the languages of the ancient translations are effectively dead. There are descendant languages alive today, but they are not generally more useful in understanding the ancient tongues than knowing Modern English is for understanding Middle English (or worse, Old English). If you want to try, here's a nice example with biblical texts: http://www.bible-researcher.com/engchange.html . Not that this happens all that much, really. It's not like the text situation is disastrous, it's more that we care a lot even about relatively small detail. But the are some famous cases, including the seven gifts of the Holy Spirit. And yes, it is seven, not six, as the Masoretic text would have it... and I consider modern English translations ditching "piety" as gift due to that source as spiritually somewhat misleading against the backdrop of Christian tradition. Since you mentioned the German language, I'm curious: what's your experience of the Einheitsübersetzung? I don't read German at all, but I understand it was produced by German Catholic and Evangelical scholars together, intended to be a shared translation by both Catholics and Reformed Protestants alike. Is it in use much any more by either party, either in liturgy or as a go-to reading Bible? I ask, because that's the appeal of the RSV-2CE to me in English. As a former Protestant, I prefer a rigorous translation that is still in use among Catholics and Evangelicals, unifying their reading as much as is possible. In the U.S., there are certainly other translations read more often by Evangelicals (NIV, HCSB, NKJV), but these aren't translations Catholics use. But the RSV IS a unifying thread between a certain set of Catholics and Evangelicals, thanks to its offshoots like the -2CE and the ESV. The Einheitsübersetzung seems like a similar experiment among German-speaking Christians, so I wonder how it's faring. Yeah I consider the absence of "piety" to be kind of traumatic. The languages aren't actually dead. I speak in Biblical Hebrew several times a day in prayer. And I even speak it among others of Jewish ancestry as we often greet, bless and regularly use certain ancient phrases in vernacular exchanges. This goes for many Hebrew Catholics and most Jews around the world. And Biblical Greek is still used by the Orthodox not only in the Divine Liturgy but similarly to how Hebrews use it in their daily life. And this is not to mention our use of Scripture and Siddurs and the Haggadah, etc. for people of Jewish ancestry as well as Orthodox books written in Biblical Greek. How people have come to believe that these languages are now only the territory of scholars and out of reach of others is something I find a bit puzzling. Most people can be taught to read the Greek or Hebrew alphabet and a handful of words in about 90 minutes. In three months they can be reading at a basic level. After a year or so of practice and study they should be proficient enough on their own. In other words, something about this "scholars are the only real experts" belief does not play true. If Bible translation is reliant on scholars, how is it that Jewish and Orthodox children can read the original texts? By their teenage years a Jewish boy or girl can proclaim Torah in Hebrew, reading it from a Hebrew scroll before their congregation as part of their Bat- or Bar mitzvah. We are talking 12 and 13 year-olds, and they do it without becoming scholars or learning from the Church Fathers. The Biblical languages are definitely not the exclusive territory of the Catholic scholar if Orthodox and non-Christian schoolchildren can learn them. I've really been loving the old King James recently. The King James with "apocrypha" - deuterocanonicals! Is widely used not only be evangelical and Pentecostal and Baptist type Protestants, but also by Anglo-Catholic Anglicans and Lutherans and many Eastern/Oriental Orthodox Catholic Christians. The way the KJV translates may passages is actually much more faithful to the magisterium than the way the NABRE translates them. I wish the USCCB would take a KJV, format it into paragraphs, put a minimal amount of commentary to it, get the deuterocanons in order, and stamp an imprimatur on it. There is not a single translation of a single verse that I can think of which would need to be modified to be 100% Catholic. In my opionion, the KJV with Apocrypha is more traditionally Catholic than the NABRE. And the cadence and rhythm of the KJV..... oh boy. The KJV just SOUNDS like how the Bible should sound. It's a common misunderstanding that the Einheitsübersetzung ("unity translation") was an ecumenical project that was supposed to provide a single translation for both Roman Catholics and Protestants (well, Lutherans) in Germany. That's not the case. The "unity" being referred to is rather the unity of all German-speaking dioceses, within Germany but also in Austria and German Switzerland. They were all supposed to agree on one bible translation to use, this one, and they did. Lutherans were involved in creating the original Einheitsübersetzung, and it is an obvious choice of translation for ecumenical gatherings that involve both RCs and Lutherans in Germany. So in that sense it is a bit of an ecumenical project. But the translation is otherwise not much in use among German Lutherans at all. Furthermore, the Einheitsübersetzung has just been revised (and I mean just now, the first copies of the revision can now be bought). And during this revision the Lutherans officially and loudly withdrew, citing (frankly bogus) concerns with the application of Liturgiam authenticam. So in a way the Einheitsübersetzung has now become more a symbol of denominational disunity. It also was a pretty bad translation, and while the revision has fixed some problems, early reports about it make me think it has introduced others (I have not so far bought and read it, so I cannot really comment in depth). It certainly is not my choice of a German Catholic bible. Nobody speaks ancient Hebrew, nobody speaks Koine Greek - in the sense of a living language. Scholars of Old/Middle English may be so good that they can talk it, but this is just their academic studies translated into vocalisation, it is not the same thing as having learned a living language like Modern English. Modern Hebrew is the decidedly weird case of a dead language being revived recently for political reasons, largely on the basis of academic studies. It is now alive - again - but by virtue of how that was brought about it precisely does not allow us to sidestep problems with the academic reconstruction of dead languages. No Greek speaker alive can tell us what "epiousios" really means. No Hebrew speaker alive can tell us what "Atzei Gopher" actually refers to. There were people once who knew, they are no more. Gen 1:1-2 (KJV) In the beginning God created the heaven and the earth. Right from the beginning of Genesis we can see how the KJV is much more Traditionally Catholic than the NABRE. The addition of "when" in the NABRE implies a challenge to the Catholic dogma of creation ex nihilo, while the KJV translates it perfectly. Then in verse two, the KJV highlights how the Holy Spirit was active in creation. Ruach Kadesh is literally translated Holy Spirit, the NABRE chooses a modernist dynamic translation of a traditional Catholic translation. Very irksome. Isaiah 7:14 (NABRE) Therefore the Lord himself will give you a sign; the young woman, pregnant and about to bear a son, shall name him Emmanuel. Once again - the KJV has kept with immemorial tradition. The LXX translators in the second century B.C. translated almah "young maiden" as Parthenos "almah". Christians since Matthew the Apostle then St. Jerome also agreed with translating it as Parthenos or Virgos. Even the first three editions of the NAB had this verse translated virgin. Then voila, all of a sudden along comes modern historical-critical scholarship and the Bishops allow scholarship to trump Tradition and we end up with this debacle. These are two small examples from the Old Testament, let me now give a couple from the New. Neither of these are fully acceptable from a traditional Catholic stand point, but highly favored is closer to Catholic theology than just the lazy "favored one". Hopefully the NABRE 2025 reverts to what the Vulgate, Douay Rheims, Confraternity, and RSV-2CE all use "Hail, full of grace!" Last but not least, the word "hell". Hell is an infallible dogma pronounced by the Church. The word hell is mentioned ZERO times in the ENTIRE NAB Bible. Matthew 16:18 (NABRE) And so I say to you, you are Peter, and upon this rock I will build my church, and the gates of the netherworld shall not prevail against it. So while I do not advocate going back to the over usage and seeming obsession of the DR and KJV translators to see hell everywhere, I think the fact that 5 of the 10 translations agree that hell should be used in 13 places in the New Testament. Even the very liberal NRSV agrees with using hell in 13 places throughout the NT. To have a Catholic Bible as popular as the NAB not even mentioning the word hell outside of footnotes is scandalous. Jason: the trouble is that in each of the examples you cite the NABRE translation is as good, if not a better, translation of the Greek or Hebrew texts the Church requires translations of the Bible to be made from than the KJV. `Provide a proof-text for specific Catholic beliefs' is not currently (ever?) what translators are told to do when they translate the Bible for study and personal use. Oh my goodness! I come back 24 hours later and see that there are nearly twice as many comments as there was yesterday when I was last here. I don't know how many of these are intended as replies to me if I don't respond to your comment it isn't because I'm ignoring you, it is because there is just too much for me to respond to and I don't have the time. However, if it is true that the NABRE actually avoids the word "hell" in the entire translation, including the NT, then I will consider this a fortuitous accident. That just screams modernist heterodoxy at the top of its lungs. Vade retro, NABRE! Just because no one is exactly sure what "acacia/gopher wood" was (in the past) that was used to build the ark doesn't mean children cannot and do not learn and use a language you argued was the territory of only academics and scholars. And just because scholars aren't decided on the exact meaning of Jesus' words "daily bread" doesn't mean Greek Orthodox have stopped using Koine Greek in The Divine Liturgy or stopped sending their kids to Greek school every afternoon. These points don't disprove that these languages are the exclusive territory of scholars. And lastly, I find it insulting and even consider it an anti-Semitic remark to state that my native language, Hebrew, has been "revived recently for political reasons." I have heard the similar comments before by people with deep-seated hatred for the Jewish people. Modern Hebrew is the language of almost 10 million people in the world today. It is based on Biblical Hebrew and has been preserved through the ages at great cost by my very ancestors who faced torture, loss of family, loss of home, even genocide via the Holocaust. It isn't still around due to "political reasons." It survives because we, the children of Abraham survive. It is part of our culuture, our identity, that we held on through despite attempts of others to destroy us. Reducing it to a mere "political" phenomenon is one of the most hurtful things I have ever seen posted on this site. I can't believe a Bible believed and Christian would say that. My Hebrew dialect, Ladino, was once the most widely spoken dialect among Jews until the Holocaust. Almost 100% of Ladino speakers were murdered in less than a decade, millions of them, due to Hitler's "solution." I am one of the few native speakers of Ladino left in the world. Current attempts to revive and preserve it are not political. Just like Hebrew, it's about survival and the right for a culture to preserve itself. With those words I end my participation here. "However, if it is true that the NABRE actually avoids the word "hell" in the entire translation, including the NT, then I will consider this a fortuitous accident. That just screams modernist heterodoxy at the top of its lungs. Vade retro, NABRE!" The word 'hell' exists nowhere in the Bible, in the Greek, the term 'Hades' is used, in the Hebrew, 'Sheol'. Both of these two concepts simply mean 'the place of the dead', and do not correspond to either 'heaven' or 'hell' because the text makes it clear that both the righteous and the unrighteous are in both places. Theologically, one could say that the concepts of heaven and hell are taught in the scriptures, but the words themselves are not in the scriptures, just as one cannot find the word 'transubstantiation' or 'Trinity' in the Bible but that doesn't mean that the concepts are not there. For reference, the RSV-2CE uses Hell, but also references Hades in the Matthew 16 verse cited above. I was pointing to the hapax legomena (words not known because they occur too rarely in the remaining sources) simply as an easily understood case in point. However, all the other problems with a language recovered from limited sources, not from a living community of speakers, remain. We simply have nobody to ask whether a particular translation "gets it right", we can only estimate that against what remains. In this context, liturgical usage is not sufficient to keep a language alive. Liturgy has a restricted domain anyway. And rituals can maintain their meaning to a community long after the words themselves have lost much of theirs. A French Catholic regularly attending a Traditional Mass in Latin does not mean the tongue of the ancient Romans is alive and kicking. In turn, I am offended by your hasty and easy accusations of antisemitism. At a minimum you could have asked for some clarification. As far as I know, and that's admittedly at "trivial pursuit" levels of knowledge, Modern Hebrew came about through the efforts of avowed Zionists (a Jewish nationalist movement) and the dealing and wheeling leading to the British Mandate for Palestine in the wake of the Ottoman defeat in WWI. That seems like a rather political process to me, whatever else one might say about it, and that's really all my comment was referring to. I had not heard about "Ladino" so far. Wikipedia calls it "a Romance language derived from Old Spanish ... enriched by Ottoman Turkish and Semitic vocabulary, such as Hebrew, Aramaic, and Arabic..." That sounds more like Yiddish to me, with Old Spanish instead of Germanic as basis, than like a Hebrew dialect? Be that as it may be, I certainly hope that it survives as a language and a culture. The next time I listen to some Klezmer, I will raise a glass to that. On that note, this thread is closed.